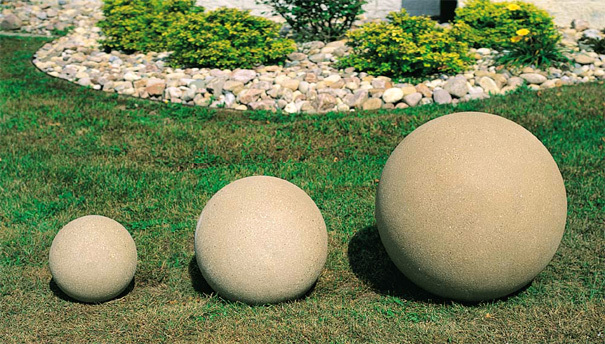 All five sizes the 12", 18", 24", 30", and 36" diameter concrete sphere bollards meet all standards of ASTM C150, C31, and C33. Choose from Weatherstone color options, Smooth Stained color options, or select the Ground Glass Concrete options that can qualify for LEED® points. Concrete Sphere Bollards must be placed on a flat stable surface that will not shift or settle such as concrete.